In a bid to increase global recognition amongst African women, TechHer partnerned with Wiki Media UG to organise WikiLovesWomen training on Friday the 18th and Saturday the 19th of November 2016 at African University of Science and Technology (AUST) Galadimawa Abuja . The event had over 35 registered participant. 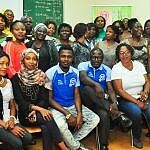 We had participants from Federal Ministry of Mines and Steel Development, Bureau of Public Service Reforms (BPSR), Nigeria Extractive Industries Transparency Initiative (NEITI) as well as women from the TechHer community. 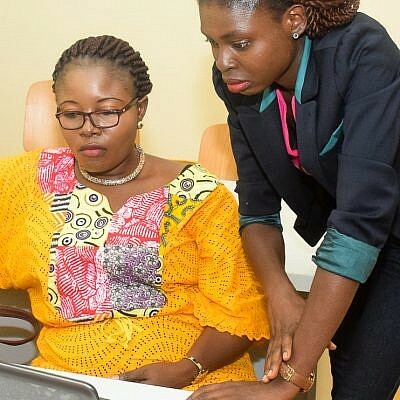 The event is in line with Wikipedia’s vision to increase the number of African women profiled on Wikipedia’s page. Currently, the percentage of African women profiled on Wikipedia is almost insignificant. 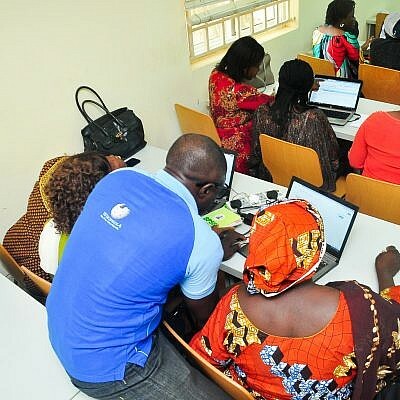 The project was set up to teach African women on how to create accounts and profile women on Wikipedia. Hence, the name “Wiki Loves Women”. 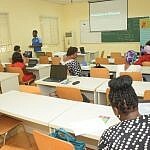 It was an opportunity to learn from the Wiki team, have practical sessions on how to use Wikipedia for profiling and also ask questions. 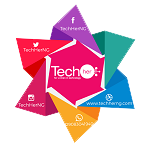 The event started with an opening speech by TechHer’s Programmes Officer; Onyejekwulum Adii. 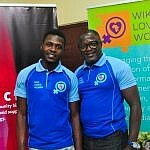 The Director of Wikimedia UG Nigeria also gave a briefing on what the project was about and why Wikimedia has decided to embark on it . 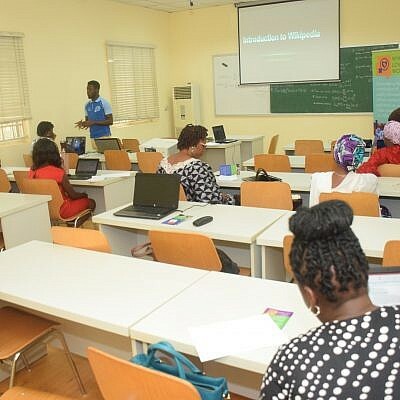 Mr. Sam Oyeleye; a Team member from Wiki Loves Women took the next session on Introduction to Wikipedia. Wikipedia’s fliers was also shared to all participants. 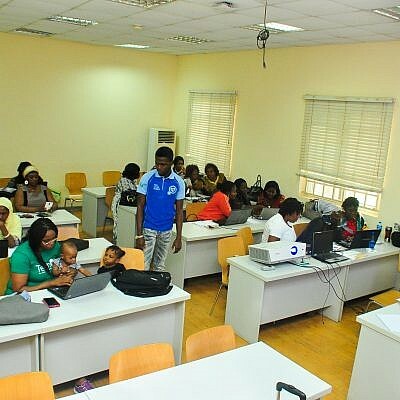 The Wiki team and Reps from TechHer helped participants set up their computers and connected them to the internet, and Wikipedia’s website. He went further to discuss Wikipedia’s Notability criterias- Editing biography pages. Mr. Olaniyan Olushola, Director of Wikimedia UG Nigeria took the next training on Wikipedia’s copyright violations which was followed by a lunch break. 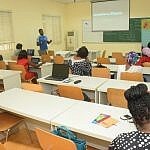 ‘Wiki markup’ and ‘Guide to uploading and use of images on common Wiki Commons: Copyright violation’ was also taken by the Director; Mr. Olaniyan Olushola. To round up with day 1, there was an interactive session where participants asked questions and were guided to the appropriate answers to their questions. Participants who answered questions correctly were given TechHer’s customised T-Shirt courtesy of TechHerNG. The second day started with a recap on the previous days teachings by Mr. Olushola and Mr. Sam. It was a practical session termed ‘Edit-a-thorn’, participants were taught how to create profiles and references on Wikipedia. Participants were subdivided into 5 groups and were given a task to create profiles for specific names given to each group. 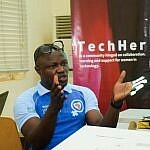 The event wrapped with a networking session and exchange of contacts amongst participants, TechHer team and the Wiki team. 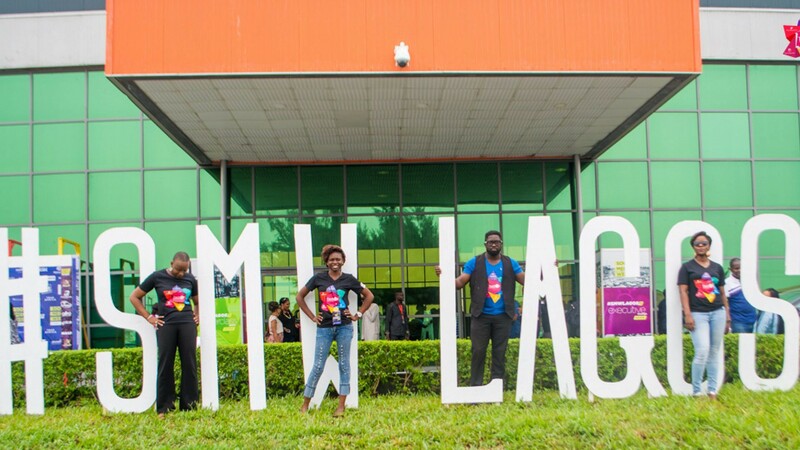 The event was made possible through the support of Wiki Media UG Nigeria, Wiki Africa, GOETHE Institute, African University of Science and Technology and Tangent Hub.